After gambling with, and losing, money from his employer’s estate and fearing that discovery and a prison sentence is around the corner, the narrator decides to end his life rather than face up to the disgrace. His last act on earth is to write a suicide note to the woman he has always loved - explaining everything and reminiscing on their relationship. The woman is married and though they have always spoken frankly with one another, they have never done anything to deceive her husband. He is no longer able to survive apart from her, without confirmation of her love, and so he writes to her in a desperate last attempt to secure her affection in what he is sure are his final hours of life. 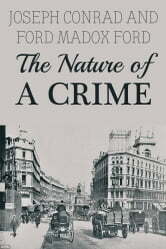 ‘The Nature of a Crime’ is an expert study in human psychology. Joseph Conrad and Ford Madox Ford give an astute insight into the darkest recesses of the human mind and its rapid descent into madness. Joseph Conrad was a Polish-born English novelist who today is most famous for ‘Heart of Darkness’, his fictionalized account of Colonial Africa. 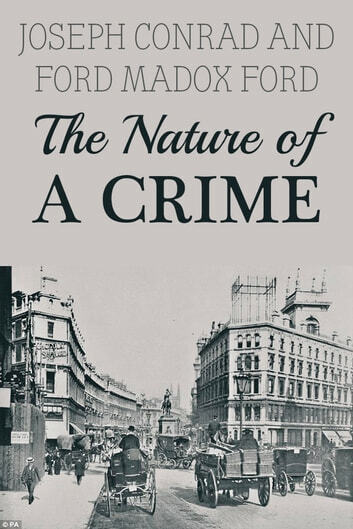 Ford Madox Ford was an English novelist, poet, critic and editor who is most famous for his novel ‘The Good Soldier’. Conrad and Madox Ford collaborated on two other works: ‘The Inheritors’ and ‘Romance’.